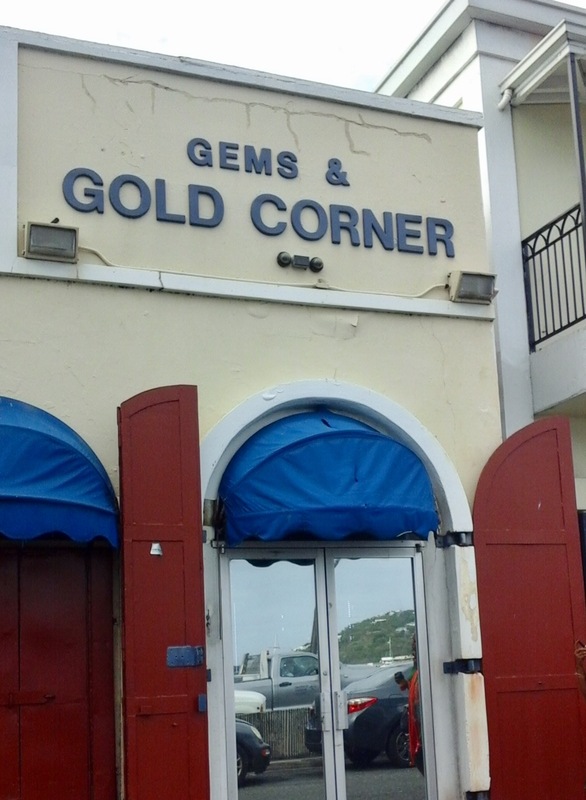 Gold Corner was hit in 2013. Four suspects were charged with federal Hobbs Act violations in connection with the heist in June. 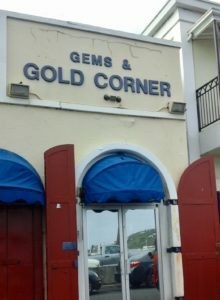 The combined efforts of law enforcement, backed by an agreement between the Virgin Islands Department of Justice and the U.S. Attorney’s Office, is bringing swift prosecution to teams of armed robbers targeting shopping centers and jewelry stores. As a result of their efforts, federal and local prosecutors have indicted, convicted or sentenced 17 individuals charged with federal Hobbs Act violations. In all except one case, investigators found defendants teamed up in groups of three to six, staging armed robberies on St. Thomas between 2013 and 2017. Two more, arrested as minors, were prosecuted as adults under local statutes on charges ranging from first degree robbery and first degree assault to grand larceny and conspiracy. In the most recent incident, a 17-year-old male was fatally shot and five others were arrested in connection with the March 25 robbery at McDonald’s Restaurant in the Lockhart Gardens Shopping Center. Hobbs Act robberies are one of the offenses designated for cooperative prosecutions in a December 2015 Memorandum of Understanding between VI Attorney General Claude Walker and former U.S. Attorney Ronald Sharpe. The MOU was signed in an effort to curb incidents of violent crime through combining the resources of prosecutors and by addressing categories of criminal conduct that encompass local and federal offenses. Bank robberies and carjackings are included on the list of crimes where prosecution teams can work together, as well as 39 categories of gun crime, spelled out in the United States Code. To qualify under the Hobbs Act, a crime must involve interference with interstate commerce through violence or threats of violence and intimidation. First degree armed robbery – the local crime involving a weapon, usually a firearm with threat of harm or death – is still included in the local caseload. But the flexibility to transfer cases to the feds appeared to lighten the load, according to DOJ spokeswoman Corliss Smithen. Of the seven cases filed in 2016, four were handed over under the MOU. Those four tied back to a 2013 robbery of a popular jeweler with a store on Veteran’s Drive. The June 13 statement by the U.S. Attorney’s Office about the indictment of four men charged with robbing Jems & Gold Corner Jewelry Store in Charlotte Amalie includes a description. Four years later – on June 26 – defendants Shaquille Correra, 21, Jarmaine Ayala, 36, Wahilli James, 21 and Ron Delano Kuntz, 42, were arraigned before U.S. Magistrate Ruth Miller. A trial date is set for Aug. 14. Richard Antonio Hodge, 29, was convicted June 11, 2014 after shooting a Ranger American armored car courier and his supervisor on Dec. 3, 2013, in the Lockhart Gardens Shopping Center. He was sentenced to 60 years in prison in June 2015. At the time the courier was picking up $38,250 in receipts from Kmart and a smaller amount from another store in the shopping center. The smash and grab robbery that netted an estimated $2 million from Imperial Jewelers in March 2014 became more sensational when investigators revealed most of the perpetrators were high school students. Their actions were captured on store surveillance cameras where a team of masked individuals walked in, two brandishing firearms, and ordered employees to lie on the floor. Shaquim Fredericks, 20, Warkim Gabriel, 19, Chefton Newton, 26 and Alvin Thomas, 19, pleaded guilty to Hobbs Act violations and related crimes in January 2015. They were sentenced in January 2015. Two minors – Carlos Ingels, 17, and Jahleel Warner, 18, were charged as adults in August 2014 on local counts including first degree assault, third degree assault, first degree robbery, grand larceny, conspiracy and possession of stolen property. Investigators later identified Ingels, one of the two minors, as the ringleader. Hobbs Act Robbery was also charged against Aracelis N. Ayala, 34, Turrel Thomas, 21, and Raheeem Miller, 24 in a November 2016 indictment in two jewelry store heists – 3Gs Jewelry & Repair on Aug. 19, 2015 and Signature Jewelers on Sept. 14, 2015. The trio was also charged with Hobbs Act conspiracy, illegal use of firearms and related territorial offenses. Aracelis Ayala was convicted on Feb. 3. Thomas and Miller pleaded guilty Feb. 17. No sentencing date has been scheduled. A slew of charges face five men arrested in connection with the fatal shootout with police during an armed robbery at McDonald’s. Among the crimes alleged against Hanselo Recio, 18, Betel Paulino, 18, Junior Feliz, 22, Helwood Paris, 20, and Troy Titley, 36, are interference with commerce by threat of violence, conspiracy to commit Hobbs Act robbery, violent crime involving a machine gun, conspiracy to possess a firearm in furtherance of a crime of violence, and maritime robbery. Paulino and Feliz are also charged with possession of an unlicensed firearm in a public housing zone. Local counts include first degree robbery. Titley, a former special investigator with the VI Justice Department, was the latest defendant to be added to the case after evidence surfaced that he procured the getaway car. A sixth individual, Juan de Dios, 17, died on the scene of a self-inflicted gunshot wound that authorities say he used in a confrontation with police while the robbery was in progress. Defendants were scheduled to appear for the start of a trial on July 10. The trial has been rescheduled to begin 9 am, July 31 in District Court. The McDonald’s case is unique, according to Attorney General Claude Walker, because federal law enforcement got involved early on. Walker said agents from Alcohol, Tobacco and Firearms asked to take the lead in a Hobbs Act violation that involved a machine gun and occurred within proximity of a school zone. Both of the latter offenses make the case transferrable to federal jurisdiction under the automatic referrals section of the MOU. “They asked to take the case,” Walker said.